The Map is Not the Territory: My TEDxBloomington Talk: Jump Into Math! My TEDxBloomington Talk: Jump Into Math! Okay, so they say you're your own worst critic, yes? Well, after watching this video a couple times it's clear to me I said most of what I'd planned to say, which is actually quite a victory. There's no way to practice the special kind of adrenaline surge that you get when, not only are you in front of large audience, but you know that your work will be archived online in perpetuity. No pressure. Really. "Are you kidding?!? It came out great. It was actually a little interesting for a change." Oh my gosh, life as a parent is never dull. Anyhow, I was thrilled to present at TEDxBloomington. It was an amazing day with an array of talks on many different subjects all connected to the theme Jump IN. This meant there were a lot of doers and solution finders sharing their ideas that day, from a doctor whose efforts have literally saved thousands of AIDS patients in Kenya, to a variety of realistic solutions for re framing our views on mental health issues, to frank and hopeful discussions about race and poverty. I was in fine company and it was an honor to share my work in this way. One important thing that did not come out in the video editing is a really important slide that correlates with my description of the Jump Patterns tool (starting at about 3:48 in the video). I've put a version of the slide below the video. Speaking of which...enjoy! 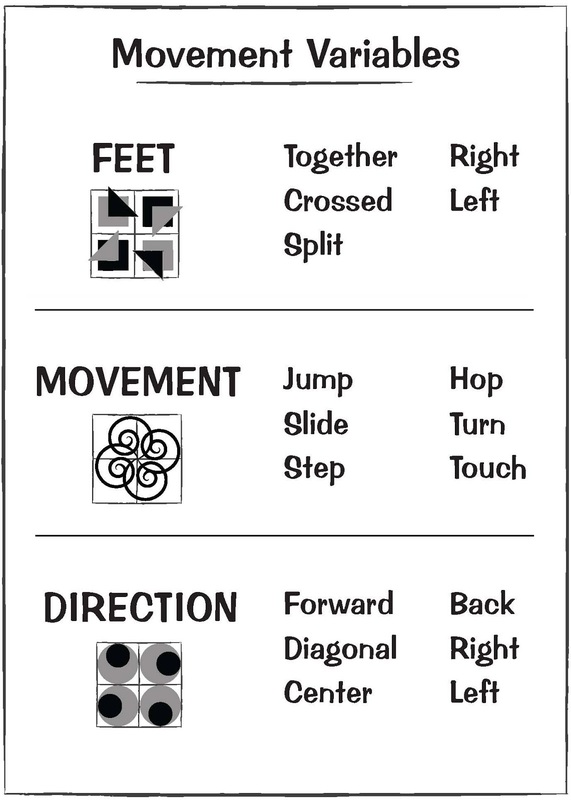 More information about the Math in Your Feet program can be found at www.mathinyourfeet.com. While you're there you might be interested in a video I made this winter about What Success Looks Like in my Teaching. Or, you might really dig the Math by Design page. It's the place where the Math in Your Feet approach is translated to all the best making supplies: straws, pipe cleaners, paper, glue and tape. There's also the extension of this blog on Facebook where I share the amazing, cool, creative math that people make, in all different forms. I'd be pleased to see you on Twitter, too!. Brilliant! Well done Malke! Hard to give a taster in such a short time, but you got everyone up on their feet, and hungry for more! Thanks Simon! I know, the time constraint really challenged me (in a good way) to focus what I wanted to say. And, since this was not a TEDx Ed event (meaning, not talking to fellow teachers) I had to tone it for a general audience, make both the math and the dance ideas accessible to non-specialists. 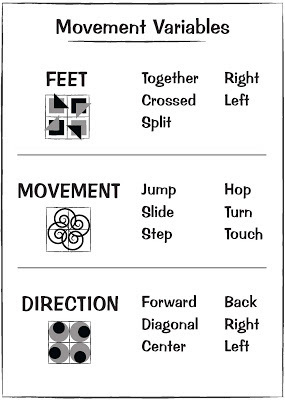 I have just finished an article (to be published in October by the Teaching Artist Journal) that goes into much more detail about how we can make math and make dance at the same time. Can't wait until I can share it!